Twenty-four Ukrainians are kept in custody in Russia. 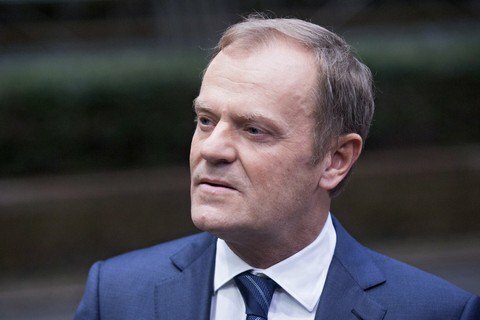 At the EU summit in Brussels, the heads of state have demanded that Russia release the Ukrainian sailors detained off the Kerch Strait on 25 November and return the captured vessels, European Council President Donald Tusk has said. "EUCO requests the immediate release of all detained Ukrainian seaman, the return of vessels and free passage of all ships through the Kerch strait. #AzovSea," he tweeted. Earlier, US National Security Adviser John Bolton said President Donald Trump would not Russia's Vladimir Putin until Russia releases the Ukrainian sailors. On 25 November, Russia opened fire on and captured the Ukrainian gunboats Berdyansk and Nikopol and the Yany Kapu tugboat in neutral waters. All 24 Ukrainians onboard were detained. They were accused of trespassing the Russian border, arrested and transferred from Kerch and Simferopol to Moscow. Ukraine took it as an act of military aggression and declared martial law in 10 border regions until 26 December 2018.